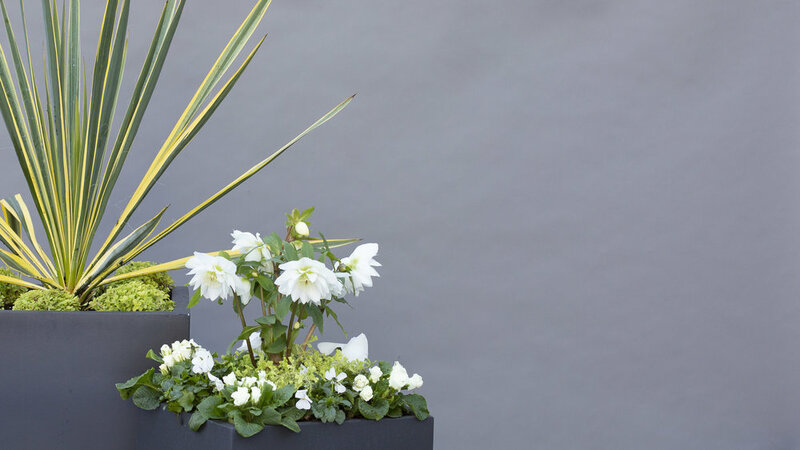 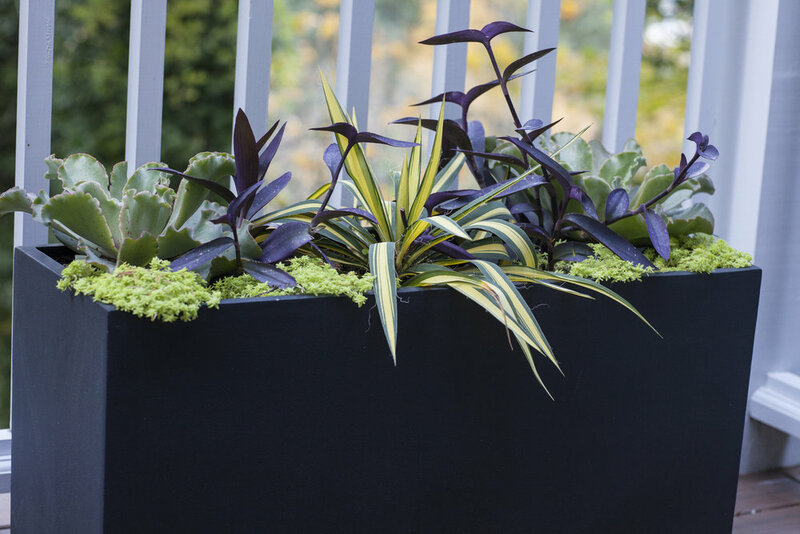 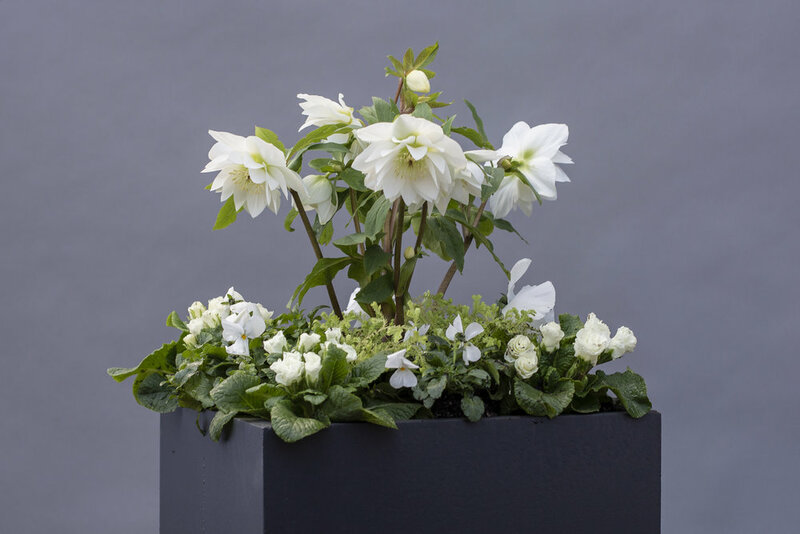 Whether you are a homeowner or a business, Garden Riot can design stylish, easy to maintain planters brimming with gorgeous plants. 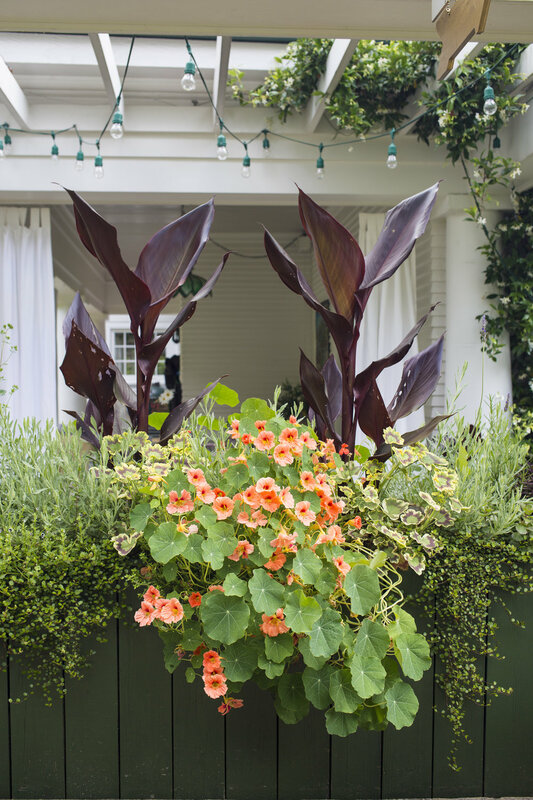 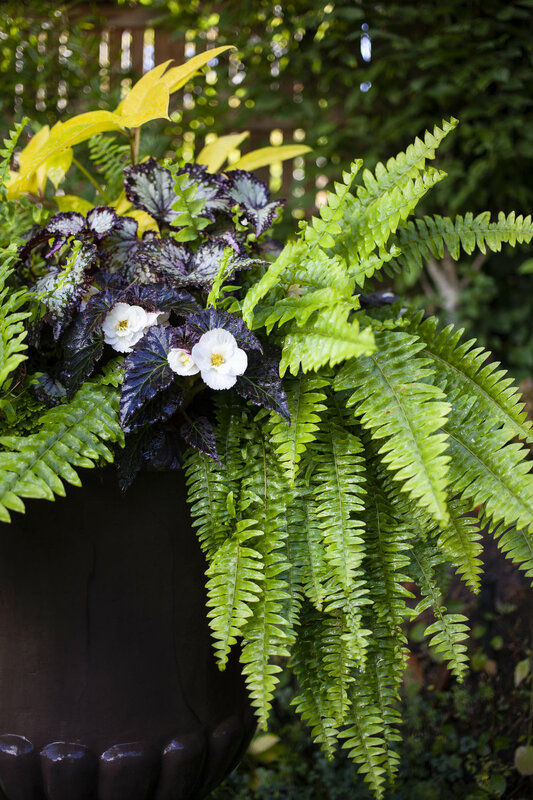 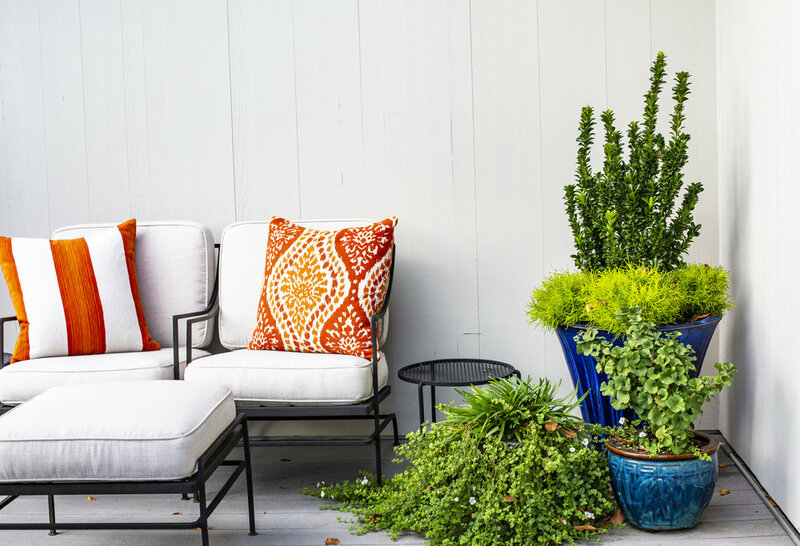 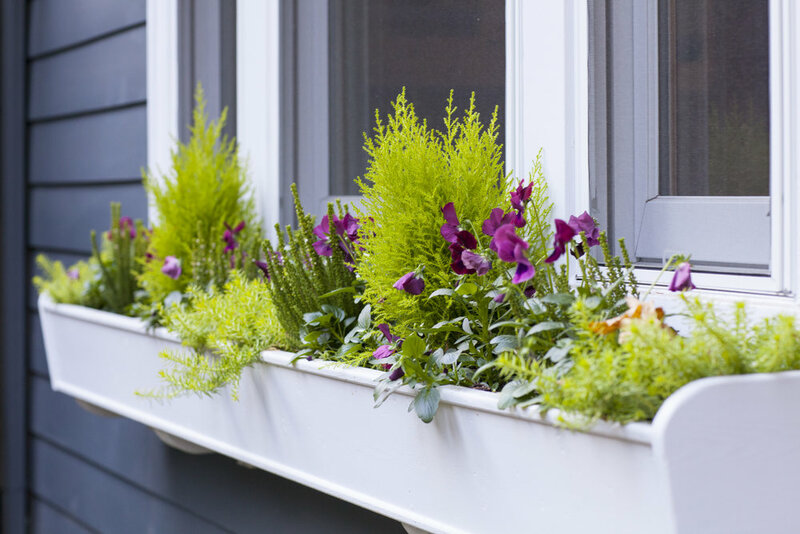 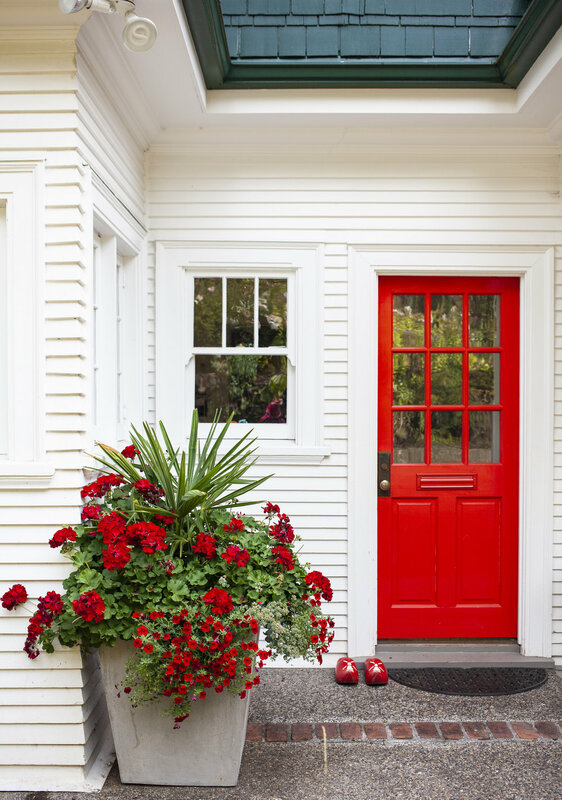 Maybe you fancy an understated planter collection of evergreen shrubs or perhaps you are looking for a 'wow' factor to maximize your curb appeal with fabulous color. 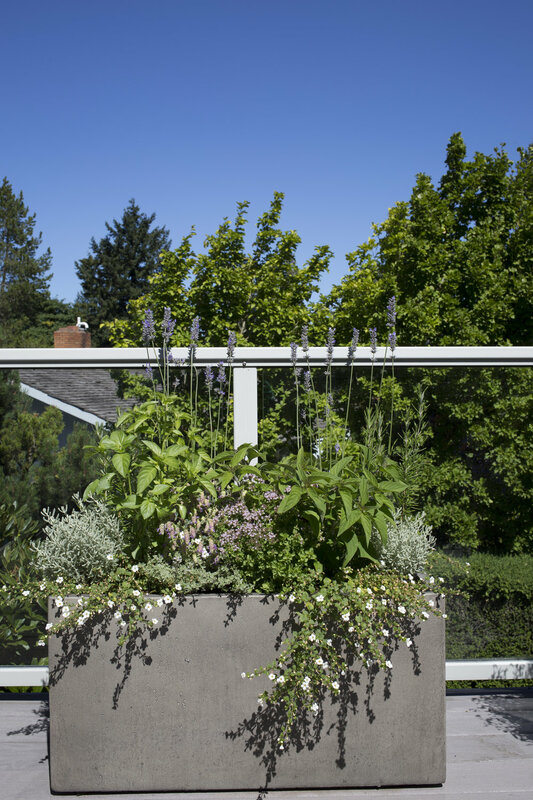 Please fill out our form to schedule a free design consultation. 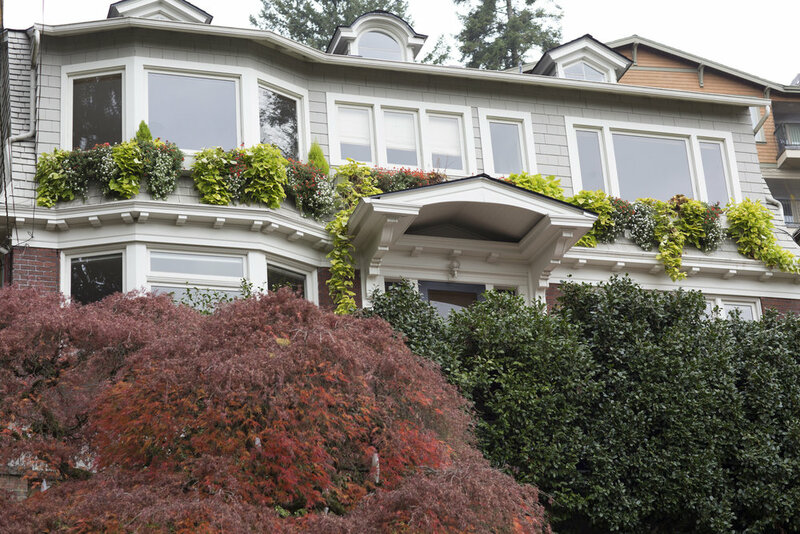 We look forward to meeting you, seeing your property, and hearing about your personal preferences. 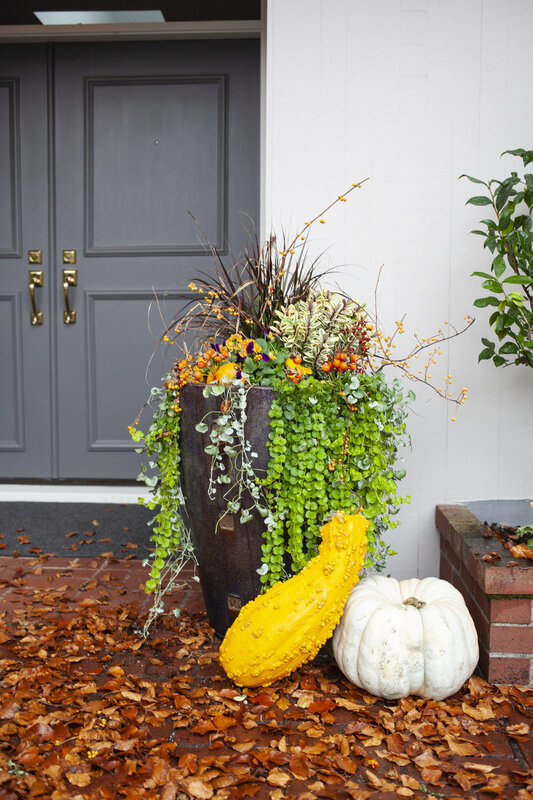 Size and scale matter when it comes to planters. 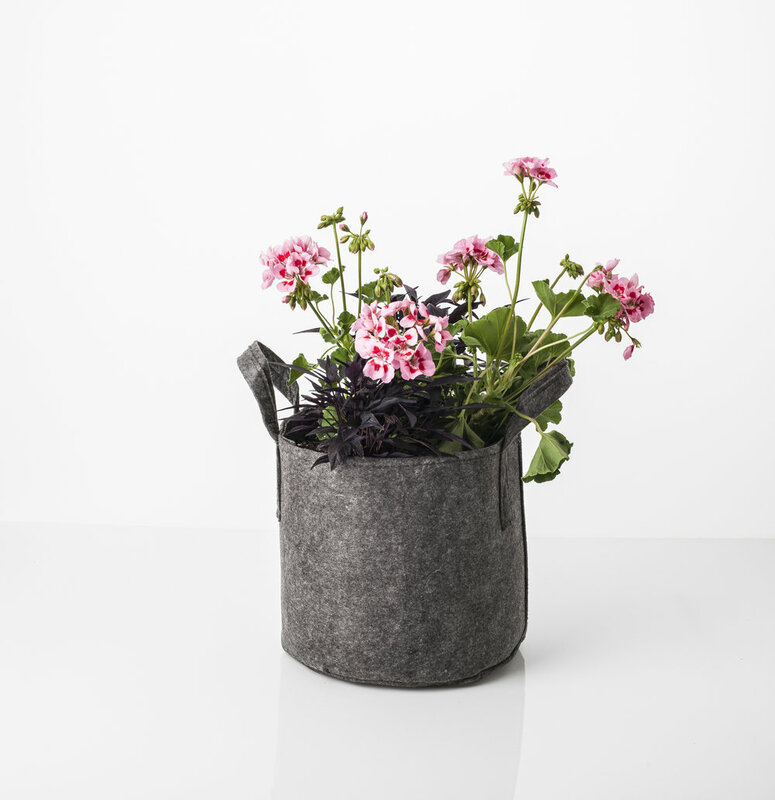 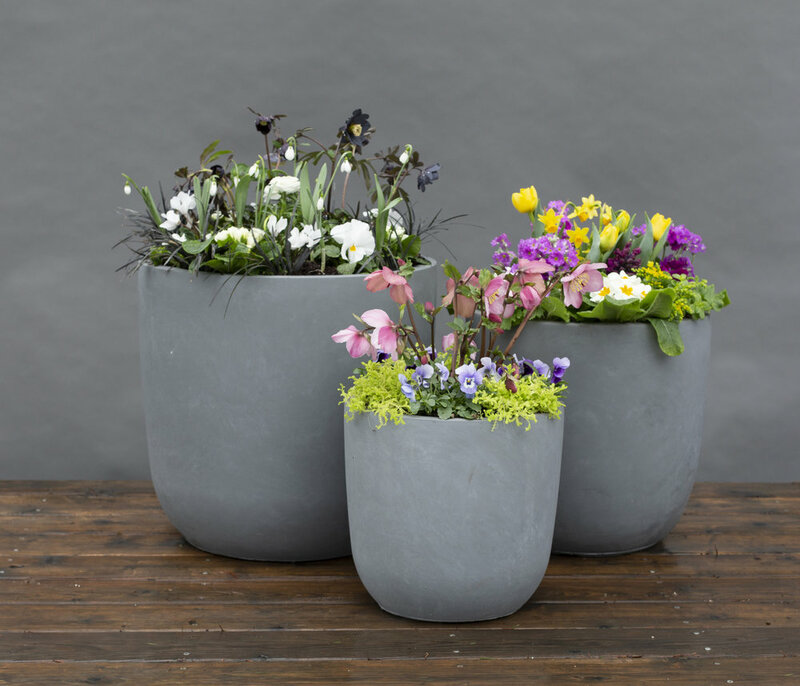 Garden Riot can recommend and procure pots that fit your style, space and budget. 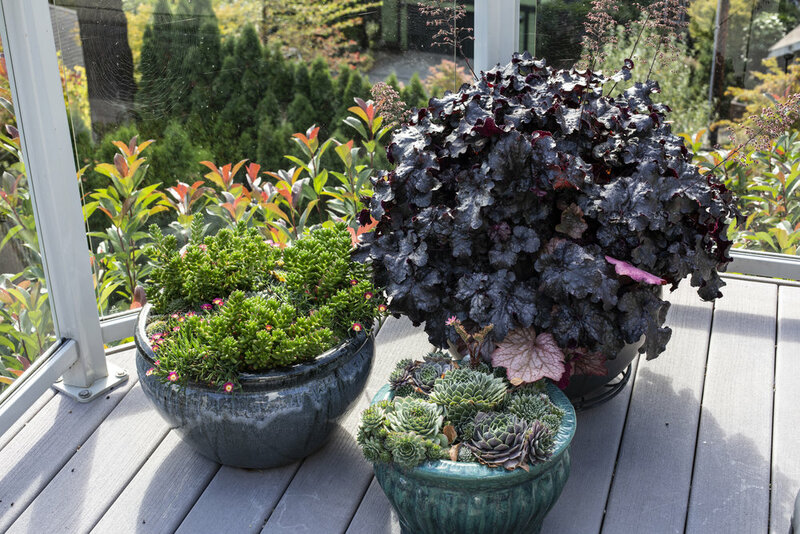 You may already have the perfect pots and that’s fine too. 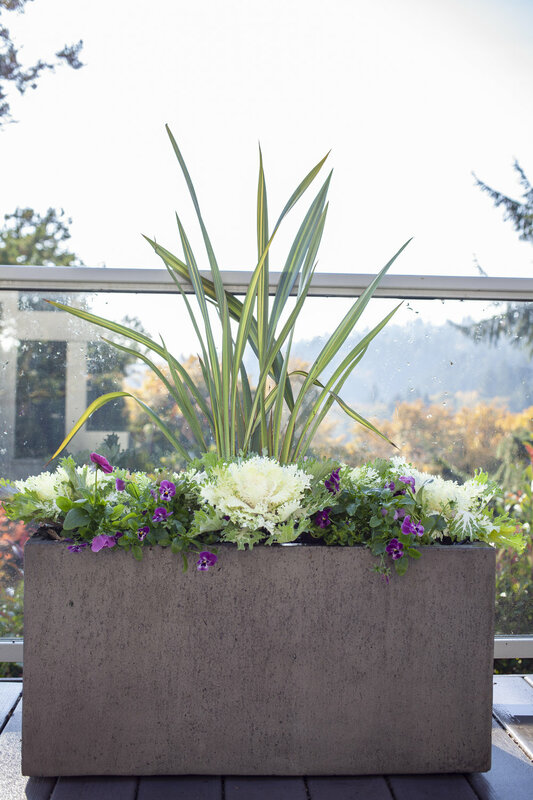 We can design your planters one time or you can sign up for seasonal refills for gorgeous planter arrangements all year long! 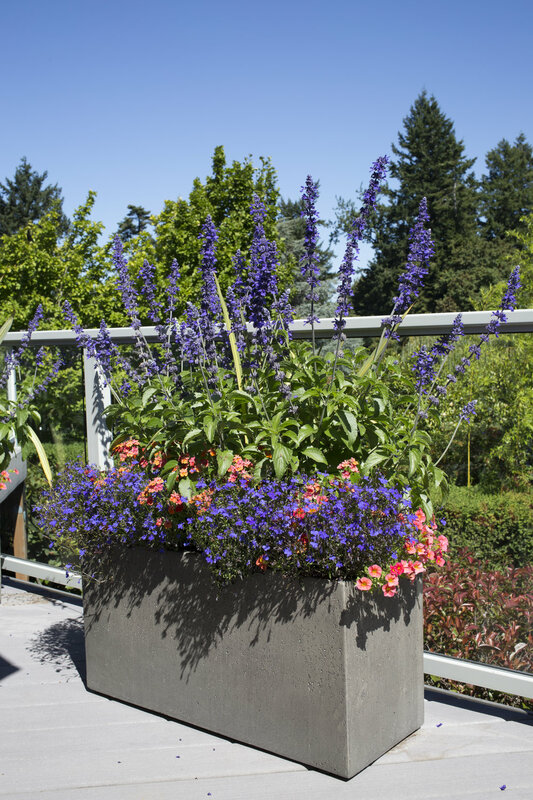 At the beginning of each season we will come to your property with the highest quality plants to create luscious, instant planters. 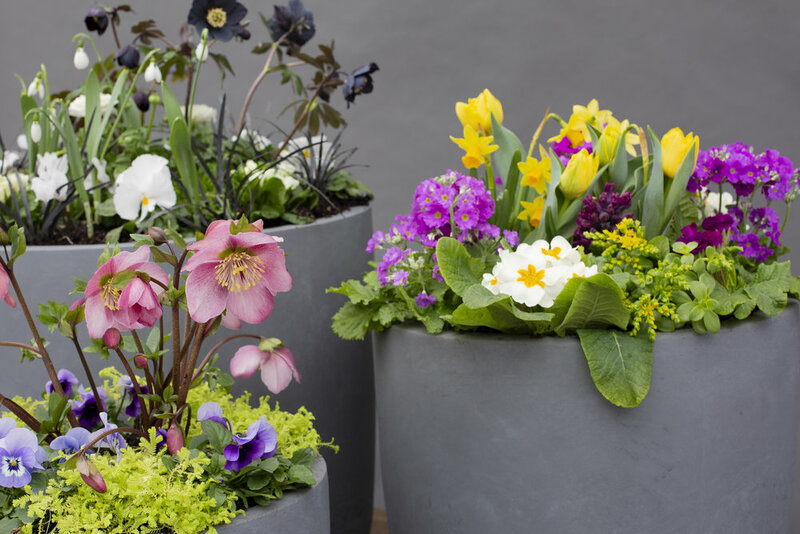 We refresh the soil and add organic fertilizers to your pots, giving the young plants a great start to the season. 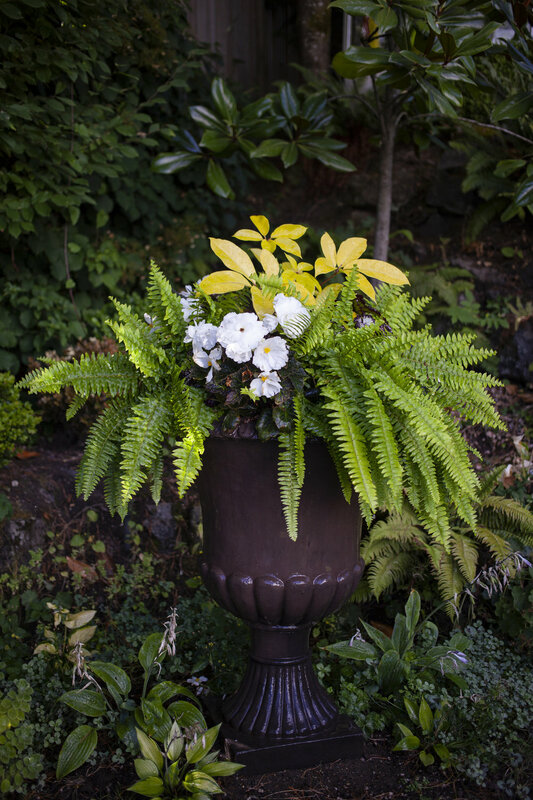 We choose plants that will thrive in your specific location and will look fabulous year round. 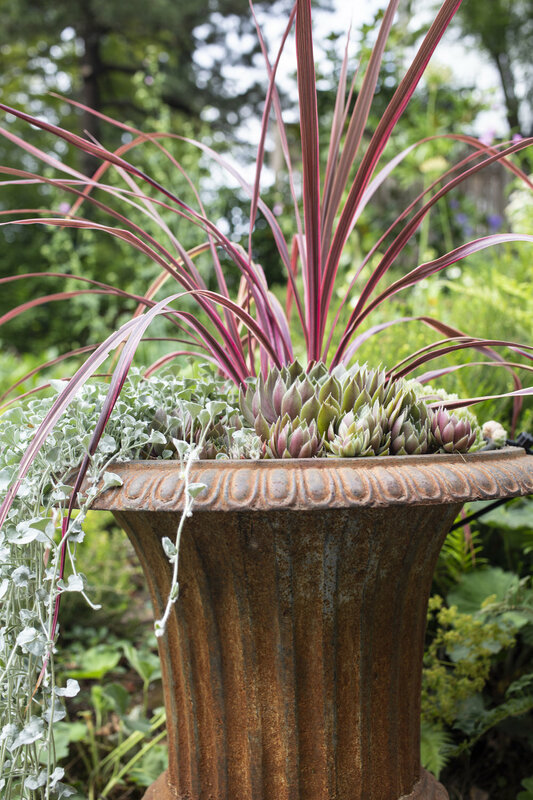 Oh and did I mention how tidy we are!